Square Thirteen is a Columbus, Ohio-based Americana band specializing in thoughtful, introspective, original music and barn-burning covers of traditional Americana tunes. The duo came together from different perspectives, although each is firmly rooted in the traditions of Appalachia. 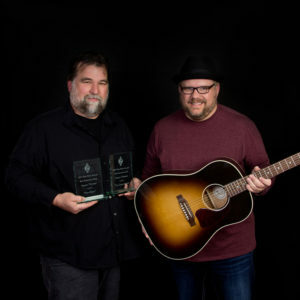 They have recorded two full length records at Earthwork, including their recent release The Great Divide which was awarded Americana Album of the Year for 2015. “New River” from the album The Great Divide (2015).